Thanks to Dimitri in Melbourne who sent us this pdf. 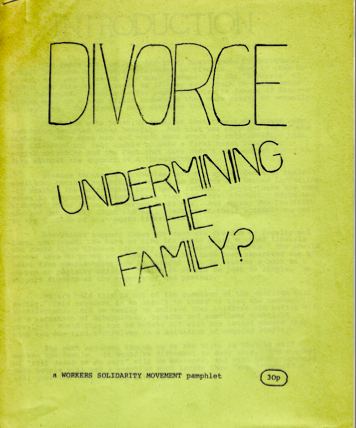 Published shortly after their formation (in September 1984) this was an introduction to the politics of the Workers Solidarity Movement. It was republished in 1987 and a new edition with a section on how ideas change was published in 1989. The initial print run was 1,000 and both reprints were either 500 or 1,000. The WSM positioned themselves within the trade union movement, seeking to fight a ‘battle of ideas’ within the existing organisations. “We see the organised labour movement as an essential area of activity for revolutionaries. Politics have to be brought into the workplaces and unions as it is here that we have strength and can inflict real damage on the bosses.” This was a rejection of the anarcho-syndicalist strategy of small minorities trying to build separate revolutionary unions which would then grow because of their militant example. In the section about the ‘national question’ we can get a small insight into Sinn Fein’s apparent “left turn’ of the 1980s, when they say “what the Provos want is state capitalism of the sort found in Cuba or some of the third world countries”. 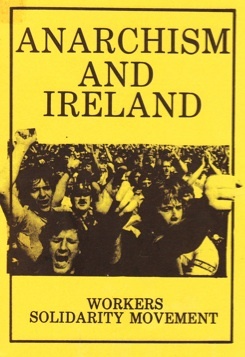 The WSM’s posing of anarchism as the only way out of partition and religious sectarianism was based on the notion (which many on the Irish left shared at the time) that the Northern state was incapable of reform and “it is no longer possible to unite the country on a capitalist basis”. Regarding the Spanish revolution of 1936/37 they recognise “the Anarchists made mistakes”. “ln our opinion, they hesitated in carrying out their programme. Instead of seizing power and making a direct appeal to the workers to take control of economic and social affairs, they collaborated with the Popular Front and ended up joining the government.” The WSM are part of the current within anarchism which agrees with much of the criticism leveled in Spain at the time by the left anarchists of the Friends of Durutti. Overall this little pamphlet gives us a snapshot of how the early WSM presented itself to others on the Irish left.